A class for athletes looking for the complete package that has you moving, breathing and sweating. 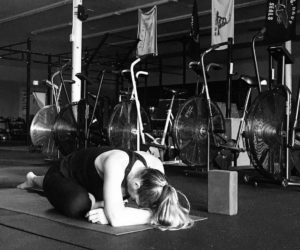 Whether your sport is running, CrossFit, swimming, biking and more, yoga assists with flexibility in those areas that become tight with overuse and helps you be the best at your sport. All levels welcome. You can take it up or bring it down. Most sports are repetitive activities, and repetitive movements cause over tight muscles and connective tissues and reduced joint range of motion. We also lose suppleness naturally as part of the aging process. To minimize injury and ensure you can continue doing the sports you love, it’s important to include regular flexibility training in your weekly exercise routine. Yoga is perfect for that task. It lengthens, strengthens and moves the joints and soft tissues in multiple directions – twisting, lifting, stretching and opening – exactly what the body needs to counteract the physical demands we place on it. There are also added benefits to yoga such as improved core strength, balance and posture, relaxation and recovery. But be careful, there’s a risk that you will feel and perform better!